Dreamweaver is not relevant in modern web design. Why? 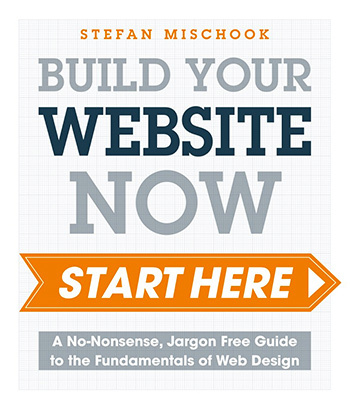 To make good websites, you need to understand the code behind the sites. You need to learn code. Dreamweaver does have a code editor but there are many more capable code editors out there that are free or at least much cheaper than Dreamweaver. Because you need to understand code, Dreamweaver’s point-n-click tools are becoming relics of the 1990’s when web code was so bad, that tools like Dreamweaver were a godsend. Let’s elaborate on the last point. Web design in the past, when the languages (HTML, CSS) were not as mature, the process of coding a website was rote; it was repetitious and mechanical. You had a lot of crappy tinkering to do, just to get a website up. In that environment, tools like Dreamweaver were welcome because they wrote the code for you. These days, with the much better browsers (that read and process code properly) combined with highly effective web design frameworks like Twitter Bootstrap and JQuery, apps that try to hide the code from you (like Dreamweaver) are not that useful. In fact, they are counter productive because often times, the code they generate can get in the way of building a clean effective website or web application – it’s just too thick. All the modern web browsers have a very powerful set of developer tools that allow you to see exactly what is going on in your pages codewise; you can even change (for example) your CSS on the fly and see how it effects the page without touching your underlying code. This makes for ultra fast development. Dreamweaver has these sort of tools but you have to be in Dreamweaver to use them and they are not necessarily 100% accurate in terms of what the web browsers will display – you might as well test in the web browser since people visit sites with web browsers and not Dreamweaver! There is nothing wrong with Dreamweaver if you largely ignore the point and click tools, and stick to the code editor. But if you do that, why bother forking out the big money for Dreamweaver, when you can find more effectively code editors like Sublime Text or Notepadd++ for free or for much much cheaper than Dreamweaver? I try to start with the point of the article whenever I can … so what is the best way to learn web design and web programming? You want to as quickly as possible, get past the basic concepts and basic code principles. Too many courses these days concentrate too much on too many details. Once you have that minimal knowledge, you should be building actual projects! I’ve been teaching web design and programming for over a decade now and have been teaching for about 20yrs – give or take. And I can tell you that without a doubt, the best way to learn web design and programming is to build. … With each site that you design, your skills will jump. With each dynamic database driven website that you build, your skills will jump. It is important that you complete projects. For some reason, leaving something half done, just doesn’t seem to have the same learning impact. That’s why smaller mini projects are great for learning because big projects take a long time to finish. With that in mind, our Complete Web Designer training package follows these principles … which only makes sense since we created all the courses! PS: If you want a DVD/USB hard copy sent you, we do that too. 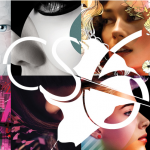 Dreamweaver CS6 – is there an Alternative? Is there a cheaper alternative to Dreamweaver CS6? What do professional web designers use? 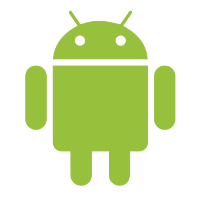 … Of course there are cheaper alternatives. In fact, there are even FREE alternative that are extremely powerful, run on Windows and Mac and will allow you to build any kind of website you could imagine. But before I suggest a couple of alternatives, I want to point out that many professional web designers and developers DON’T use fancy programs like Dreamweaver. 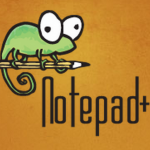 Many actually prefer to use much simpler programs like for example, Notepad++. Yes, with the simpler text editors like Notepad++, you have to know your HTML and CSS. But these days, you can’t hide behind programs like Dreamweaver anymore; web designers must understand the code and once you really get into web design, you will actually come to prefer wrangling the code manually than using Dreamweaver’s point-and-click tools. … More than ever, web design is MUCH more about a deep understanding of code, browser behavior and usability, than it is about design. Adobe Charges a Big Premium for the Same Products Outside of the USA! Adobe has now announced that there will be no Adobe CS7 product release for Photoshop, Dreamweaver and the rest of their Creative Suite. They are moving to a cloud based system where you have to be online to use their products and Adobe has control of the upgrades and updates. … I wonder what might happen if Adobe releases a bug filled version and you can’t roll back to a working copy? Beyond that, Adobe has changed the way you pay to use their products, where now you ONLY have the option to pay by a subscription fee. For some people out there, that’s fine, while others (many others) seemed to not be too amused. From what I am hearing, it seems that the cost of using Adobe products (for many) might as much as double under this new pricing scheme! It’s still cheaper to fly from here in Sydney to Los Angeles, buy [Adobe’s Creative Suite Master 6 Collection] there, and come home. By doing that I’d save $601, and I’d get Virgin Australia frequent flyer points, too. … we here at KillerSites.com believe it’s only fair that everyone has the same cost when it comes to any of our training packages and products. We also believe that some people might prefer to take home and own the video training packages, so even though we have subscription based ‘cloud’ training services (Video Library & KillerSites University), we also offer our courses for purchase via download or even mailed to you on a USB key! … Being flexible we think is a virtue. What is the difference between WordPress and Dreamweaver? â€¦This is a question that is popping up a lot … so I figure I should answer it. 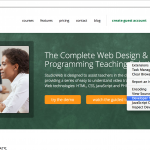 Dreamweaver is a web design program that you install on YOUR computer. WordPress is a content management system (basically a bunch of php pages) that you install on your web server â€“ not your home computer. A website built with Dreamweaver can be uploaded to any web server. When you build a website with WordPress, the website and WordPress become one. You need to have WordPress running to run the website, because the website is dynamically being generated by the WordPress engine. Dreamweaver is like a set of power tools, that can speed up the web design process. WordPress is like a Lego game, where all the pieces are already made, and all you have to do is snap them together. â€¦ Finally, WordPress is free and Dreamweaver is a commercial product that cost hundreds of dollars. I just wanted to announce our new Beginners Dreamweaver CS6 video tutorial course is out! This is a really big one too! Total running time: 10 hours 56 minutes! Without getting into all the details, Adobe is basically throwing in the towel for the Flash player on mobile devices. This is turn means that Flash on the desktop browser will eventually fade to nothing since people are not going to want to have Flash on their websites knowing that iOS and Android users will NOT be able to see their content. … And this is why we no longer teach Flash because it seems clear that it will soon become a niche product where the jobs will be few and far between. Yes, this could take years, but already competitors like HTML5, CSS3 and JQuery are taking over. As predicted, Flash has now gone HTML5 – yes, you can now export your Flash work to HTML5 using the new Flash CS6. I haven’t had a chance to look at it, so I have no comment with regards to how well it works. Nonetheless, this is more evidence that HTML5 is going to be huge in the future of web design and web development – if it isn’t already! Flash CS6 basically uses the CreateJS open source framework, to output animations in Flash. I don’t know how powerful this conversion process is yet … we will soon see how complex the Flash projects can be and still be able to output them via HTML5.